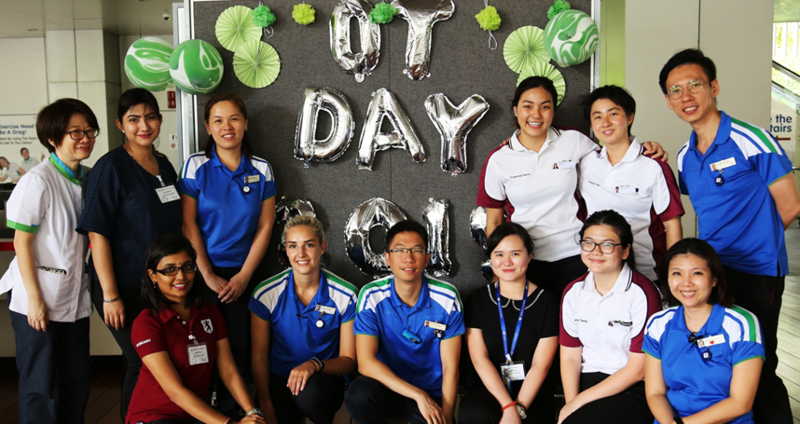 PUScOT students Dhashmini Thangavelu, Tashvinderjitt Kaur Gurmukh Singh and Vanessa Choy Wen Yee spent 2 weeks in the Hand Clinic of Khoo Teck Puat Hospital in Singapore in January 2019 as part of their clinical posting. They shared their experience in an interview with Corporate Communications. Tell us briefly about what you did during the clinical placement. Vanessa: During the attachment, we were given the opportunity to attend clinic sessions as well as observe hand surgeries in the operation theater. It is a very rare opportunity for non-medical students to be allowed into the operation theater to observe surgeries close-up, so we are extremely grateful that we were allowed entry into the operation theater to observe micro-surgeries. Many surgeries were performed by the hand surgeons (Mr. Vaikunthan and team), such as tendon repair, carpal tunnel and trigger finger release, and finger amputation procedures. The principal occupational therapist in KTPH, Miss Jane, also accommodated our requests and helped with the arrangements so that we could observe the speech and language therapists performing their tests and interventions, participate in music therapies with patients with dementia, as well as shadow senior occupational therapists in various in-ward settings, such as dementia, neurological, and orthopedic wards. What is the most important or significant thing that you learned there? Dhashmini: One thing that we never got a chance to see in any of the local hospitals we got posted was wound management. It was something new to the occupational therapy role and responsibilities as we have never had any theory or clinical experience on wound management in terms of removing the stitches and cleaning the affected wound area on hands. Vanessa: I learnt that despite the hustle and bustle of the day, it is crucial to be sensitive towards the patients’ concerns and to accommodate them as best as we can. Building good rapport with our patients contribute to the favourable rehabilitation outcome, as we practice client-centred approach, thus knowing about the “what” and “why”, “how” and “when” of the goals to be achieved help in ensuring the success of rehabilitation. Apart from helping patients return to their previous capabilities, occupational therapists also play a very important role as advocates. Tashvinderjitt: The most important thing that we learnt there is we got to experience the different settings of an occupational therapy unit in Malaysia and Singapore. Although the treatment is quite similar, in Singapore it is compulsory to learn wound management. Did the experience change your career pathway, or cement your interest in a certain specialty within the OT field? Tell us a bit about that. Tashvinderjitt: Hand therapy is not really my area of interest at the moment, however I do hope it would be someday as it’s quite interesting to attend to all kinds of cases and assess them to initiate treatment. What advice would you give to other students who want to pursue a career in OT? Tashvinderjitt: As an OT, we address the vital importance of people’s psychological and emotional well being, as well as their physical needs. It is one of the most holistic health care profession which requires sensitivity, understanding and compassion and certainly it does contribute alot to the community. Dhashmini: Rehabilitation plays an important role as they will be referred to us in order to be trained to return to the community. 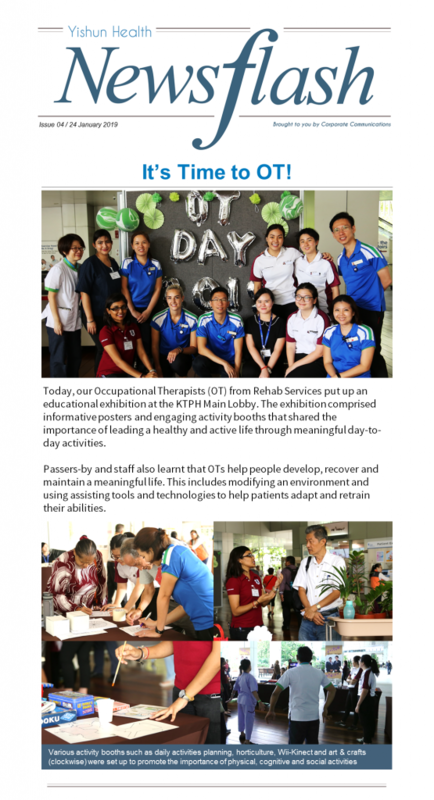 Thus, occupational therapists hold a very big responsibility in treating patients in order to encourage them to fulfil their lives with meaningful activities even after any injury or disabilities.